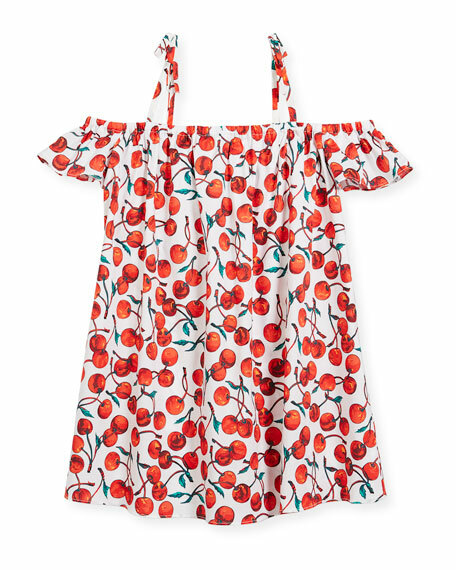 Milly Minis "Eden" sun dress coverup in cherry print. 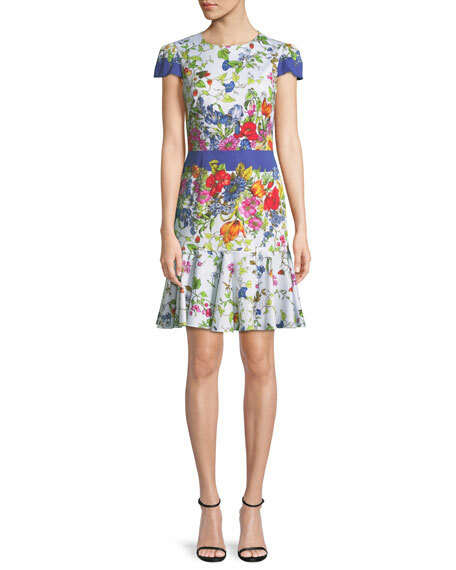 Half cold-shoulder flutter sleeves; tie shoulder straps. For in-store inquiries, use sku #2434739. 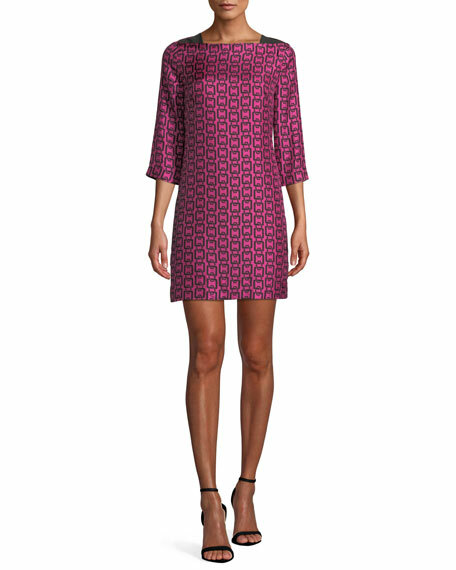 Milly "Julia" dress with chain-print on twill. Boat neckline; contrast inserts. Three-quarter sleeves. Shift silhouette. Hidden back zip. Mini length. Polyester; dry clean only. Made in USA of Italian materials. Exclusively ours. 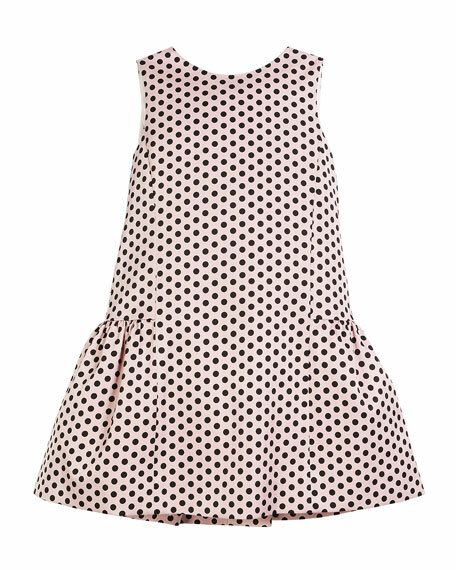 Milly "Mia" polka dot printed silk chiffon cocktail dress. Halter strap neckline. Sleeveless; open back. A-line silhouette. Tiered skirt. Mini length. Silk self. Polyester/spandex lining. Made in USA of imported material.